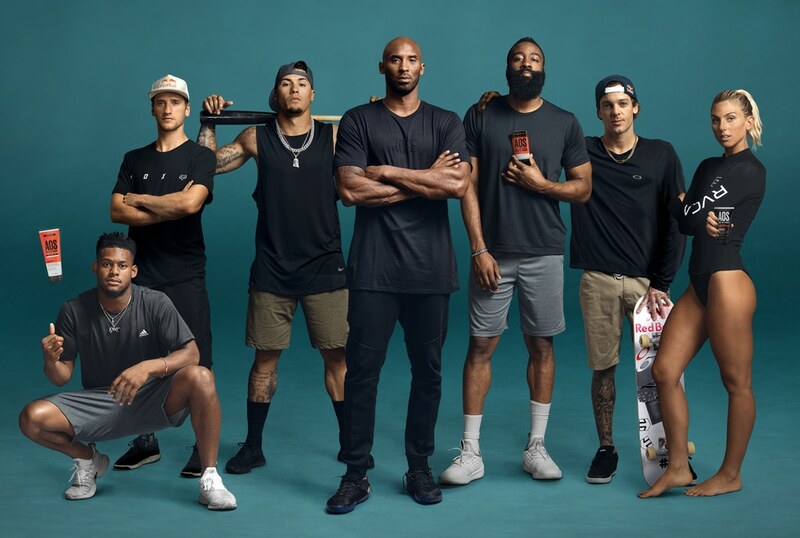 NBA stars Kobe Bryant and James Harden and several other athletes have teamed up to create “The Art of Sport” (AOS), a body care line geared towards active men who seek peak performance while playing sports or working out. Entrepreneurs Matthias Metternich and Brian Lee pitched the idea to Bryant over a year ago. Other stars involved in the product line include the Chicago Cubs’ Javy Baez; surfer Sage Erickson; motocross world champion Ken Roczen; skateboarder Ryan Sheckler; and Pittsburgh Steelers receiver Juju Smith-Schuster, reports Celebrity Net Worth. The goal was to develop a line that didn’t just add the word “sport” to a regular line of body care products. The creators wanted to produce new, performance-driven formulas. The product line includes deodorants, antiperspirants, shampoo, sunscreen and body wash as well as products meant to boost an athlete’s performance and hygiene. For example, the AOS deodorant contains “energizing matcha” (green tea leaves), to help improve skin elasticity, as well as motion-activated odour-blocking technology. “Our products are built for athletes’ skin: hydration for when you sweat; defence from the sun; cooling technology, and protecting sensitive skin to power you through the daily grind,” the website boasts. Scientists Dr. Shekhar Mitra and Dr. Laurence Dryer were instrumental in developing the AOS formulas, which include botanicals like tea tree oil instead of chemicals such as parabens, oxybenzone and PABA, which are common ingredients in competing products. Bryant chose the names Compete, Rise, and Challenge, to represent some of the products. The company is offering a trial size pack of deodorant, hair + body wash, body bar and SPF 50 Sunscreen. It’s just US$9 (shipping included). Bryant, meanwhile, has used his status to promote other athlete-focused brands, including BodyArmor Sports Drink, in which he has been an investor since 2014. He initially invested about $6 million and acquired a 10 percent stake in the company, which at the time had an estimated $10 million in annual sales. That number has since jumped to $400 million. Bryant’s stake is currently worth about $200 million—a significant increase from his initial investment.